The Ningaloo area borders the coast near one of Western Australia’s most treasured assets, the Ningaloo Reef which is located two hours’ drive north of Carnarvon. Ningaloo Reef is not only Western Australia’s largest fringing coral reef, but one of the largest reefs worldwide that can be reached just by stepping off the beach. Here the mighty whale shark, the world’s largest fish, can be found from March through to June, feeding on coral spawn. Other magnificent marine animals that visitors can swim or dive with are manta rays, potato cod, sharks, dolphins, and turtles. Dugongs and the migratory Humpback whale can also be seen. Ningaloo also offers safe swimming on the long sandy beaches. Ningaloo Marine Park stretches from Bundegi Reef in the Exmouth Gulf, around the North West Cape to Amherst Point 260 kilometres to the south. Established by the State and Commonwealth Governments in 1987, the park extends 10 nautical miles seaward and encompasses over 5,000 square kilometres of ocean. Zoning for fishing, diving and sanctuary areas fall within the marine park’s boundary, ensuring preservation of the environment. Cape Range National Park, which borders the marine park, offers wilderness tenting and camping. 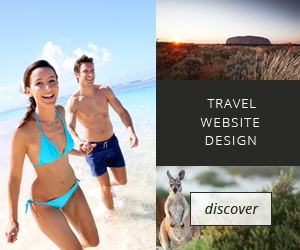 Exmouth and Coral Bay offer hotels, motels, chalets, resorts, caravan and camping facilities and backpacker hostels. Food supplies, restaurants and cafes can be found in Exmouth and Coral Bay.